Fixed a bug where a boss speech dialogue could appear and disappear in the same frame. Goatperson taken out of quest completion loop. Side tab priority system put in place. Taxidermist speech in toasts given a portrait. Trophies that are sold fall straight into the taxidermist panel. Did some optimization when mouse moves into different grid square. Fixed bug where boss speech wouldn’t always show up. 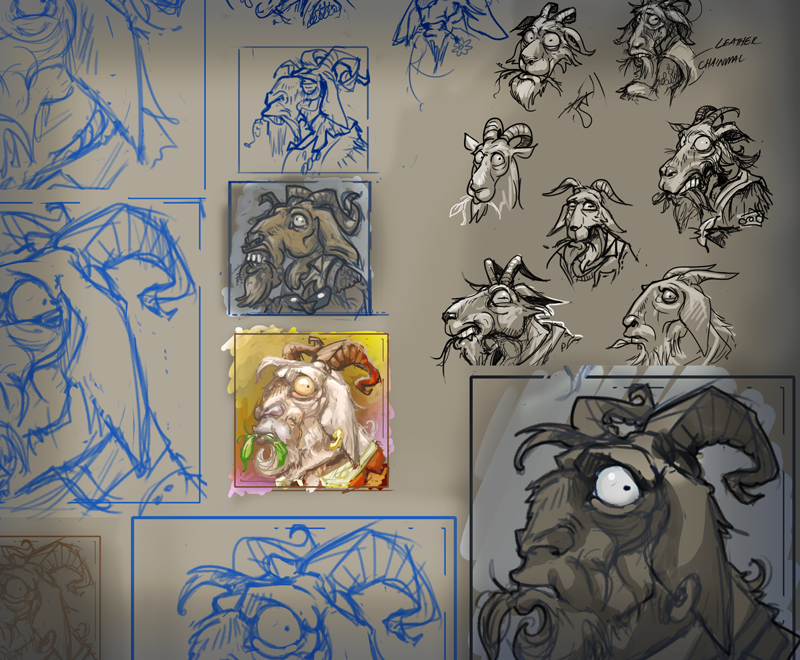 The Goatperson’s item conversion threshold increases by 10 per bonus. Initial food stock increased by 15. Food conversion value lowered to 3, may now be converted by just using. Petition is now a character effect and survives worship hopping. JJ Chaos Avatar buffed — now provides poison and mana burn removal. Piety changes prevented by Indulgence no longer appear in the log. Issues with Taurog equipment punishment should be fixed. Fixed several incorrect piety / boon icons. God menu no longer has tooltip issues for invisible boons. Fixed critical grammatical error with Azure Body description. It’s no longer possible to farm gold by replaying tutorials in the Explorer’s Guild. Boons in the piety panel are now named. Fixed a crash related to setting sliders. Added item slideout to veto , pre-veto and pre-locker slots. Fixed a bug where selecting a class and then a race would leave the wrong image on the permit. Specialist badge now prompts if active quest failed. All bosses in Magma Mines drop trophies (to ensure non-weirdness if players attempt a trick shot). Enemies that gain pacifism during combat are now deselected. Encouragements window changed to speech bubble type. Took out unnecessary newline in encouragements text.